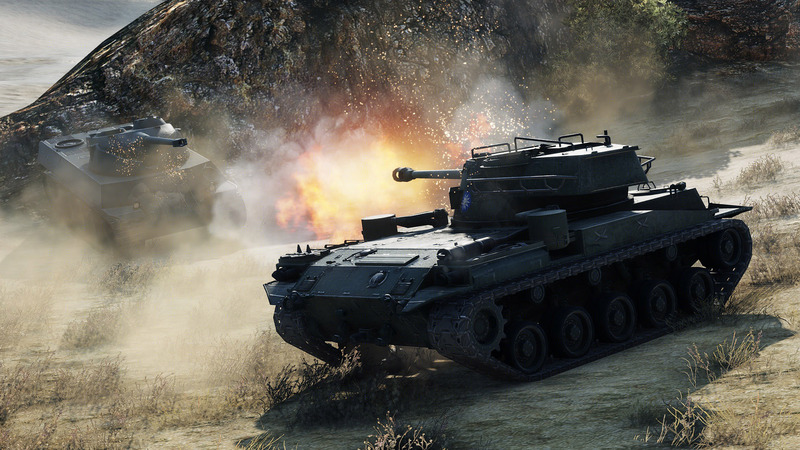 Tips for spotting and surviving as a light tank in World of Tanks. In World of Tanks, players will often start off using a light tank, as the Tier 1 tanks mainly consist of this tank class. Light tanks are speedy scouts who provide vision for their team. 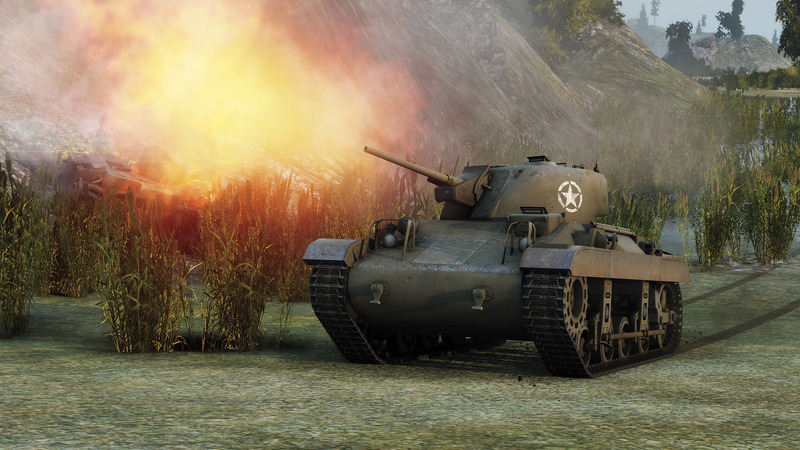 This guide offers several tips for using light tanks that will help you effectively support your team on the battlefield. Light tanks are primarily known for their fast movement speeds, decent view range, and increased camouflage. Although any tanker has the ability to spot opponents, the light tank excels in this regard. Certain tank types, such as artillery tanks, rely heavily on its light tank allies to provide map vision through spotting. There are multiple ways to go about scouting as a light tank. Some players prefer to take a more aggressive scouting approach that involves taking advantage of your fast mobility to actively advance toward the enemy team. The goal in this approach is to detect the enemy team’s initial movements and dispersal by quickly moving ahead of your allies at the start of a match to get an idea of where the opposition is headed. This doesn’t mean you should just bolt out into the open, however. Use the terrain to your advantage by weaving between structures and moving from cover to cover in your advancement. A less aggressive scouting approach involves peeking out from bushes or finding a nice vantage point that allows a light tank to scan a significant area of the map. Some light tanks are faster than others and are capable of quickly scaling a hillside or ledge. Good scouting areas will allow you to look across long distances without having to get too close to the opposing side. You’ll still need to get somewhat close to the enemy team to effectively spot snipers or artillery who tend to hang back closer to their base, so prepare to move forward even when taking a less aggressive approach. Light tanks have relatively good camouflage values to begin with, and unlike other tank types, light tanks remain camouflaged while on the move. Try to move between cover while spotting enemies in the distance along the way. Look out across open areas just long enough to light up the map with spotted opponents, then be sure to reposition and stay mobile to prevent being spotted yourself. Keep in mind that you must also train your crew to have certain skills or perks in order to reduce vehicle visibility and know when you've been spotted. Get your Commander trained to maximum proficiency, and assign skills such as Camouflage and Recon to your crew to improve your camouflage and overall detection capabilities. Scouting, by nature, tends to put light tanks in dangerous or vulnerable positions. A light tank’s speedy mobility can be attributed to its lack of significant armor protections. While some light tanks can dish out a decent amount of damage relatively quickly, they don’t do so well when it comes to sustaining damage themselves. As a light tank, it’s important to use the terrain to prepare a quick getaway for each excursion. When spotting on an elevated ridge or hillside, be ready to scoot backward down the slope to prevent an enemy lock-on and to retreat from an opponent’s line of sight. Buildings, hills, and even the remains of downed ally tanks can provide just enough cover to dodge a lethal shot. Look for terrain that allows you to quickly retreat after spotting enemies to ensure you aren’t exposing too much of your tank to enemy scouts. Light tanks are all about scouting, spotting, and thoughtful maneuvering. Proficient light tank players must learn the best scouting positions for each map and know how to stay mobile while remaining camouflaged. Light tanks can be easy to pick up, but tough to master. Once you understand the role of the light tank in World of Tanks, the other tank types tend to fall into place.